When we pour over the semiannual Top500 supercomputer lists, a common sight in 2017/ 2018 has been the Intel Xeon Gold 6148. 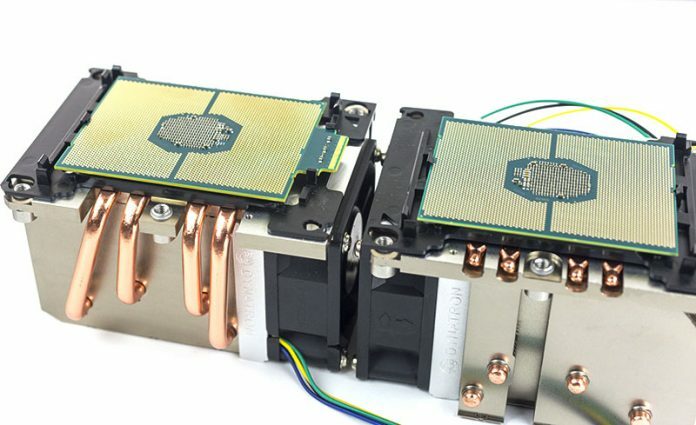 With a balance of 20 cores for multi-threaded performance and higher clock speeds than the Intel Xeon Gold 6138, it is a popular HPC compute platform. 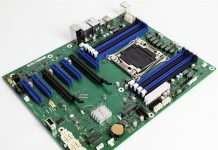 In our Intel Xeon Gold 6148 benchmarks and review, we will delve into what makes this chip so popular including the ability to upgrade to Intel Omni-Path 100Gbps fabric on each package for under $180, or about 15% of a PCIe Infiniband 100Gbps fabric card. Key stats for the Intel Xeon Gold 6148: 20 cores / 40 threads, 2.4GHz base and 3.7GHz turbo with 27.5MB L3 cache. The CPU features a 150W TDP. This is a $3070 price point which is slightly lower than the price point of Intel’s previous generation Xeon E5-2698 V4 that this replaces. Here is the ARK page with the feature set. We also have a set of chips in the lab which are the Intel Xeon Gold 6148F parts. That F denotes on-package fabric, namely Intel Omni-Path 100Gbps. Along with the $174 price premium comes a 10W TDP bump for the chips but performance is the same as the non-F parts. 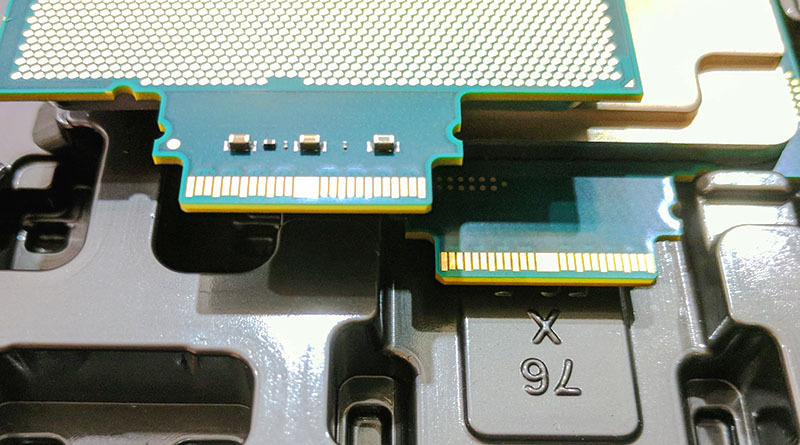 We are going to use standard Intel Xeon Gold 6148’s for this review, but the fact that Intel has the F versions of these chips may be intriguing to some. A word of caution STH found that Intel Skylake Omni-Path Fabric Does Not Work on Every Server and Motherboard. 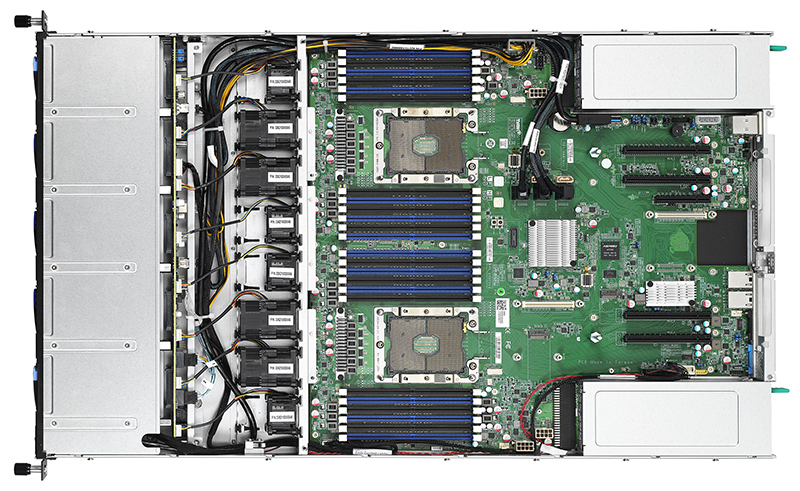 This feature has made the Intel Xeon 6148F a popular HPC part since it can save several thousand dollars over a Mellanox EDR Infiniband solution. The Tyan Thunder CX GT75BB7102 is a dual-socket server that crams a surprising amount of functionality into a 1U chassis. One can put a full complement of 24x DDR4 RDIMMs along with two PCIe x16 cards, multiple OCP mezzanine cards (storage and networking) as well as use M.2 SSDs. Redundant PSUs flank each side of the motherboard, and Tyan uses a novel array of fans which combine to channel cold air over the parts of the server that need it most. In terms of storage, along with the PCIe based options, there are 10x storage bays in the front. In our test system, we are using the Intel C621 PCH SATA lanes for a low power setup. One can also use SATA DOMs on the two standard 7-pin SATA connectors. This configuration also comes with some nice features, for example, the RJ-45 networking ports on the back of the server are 10Gbase-T Ethernet. Overall, this is a nice platform for low power servers. What is the impact to the price/ performance ratio of my applications? Our goal with this series is to help our readers understand a relative performance ranking between CPUs. That way if you see two options in your configurator or from a sales rep quote, you have some idea of what you are getting with each option. I still get a kick that STH casually publishes numbers and it’s like, oh we’ve got data for an OCTO processor Xeon E7 system, the FULL AMD EPYC 2P range, there’s even some quad systems in there. Great data to see consolidation. Oh, and here’s some 100gbps OPA for you too. Intel is competitive against EPYC with this CPU, EPYC prices are rising since intel problems (production and spectre, meltdown, foreshadow, etc…). Do you use pure MPI or MPI+OpenMP parallel execution model in NAMD/Gromacs benchmarks? Also interesting with OmniPath on Chip is that you still get 48 PCIe lanes from the CPU.